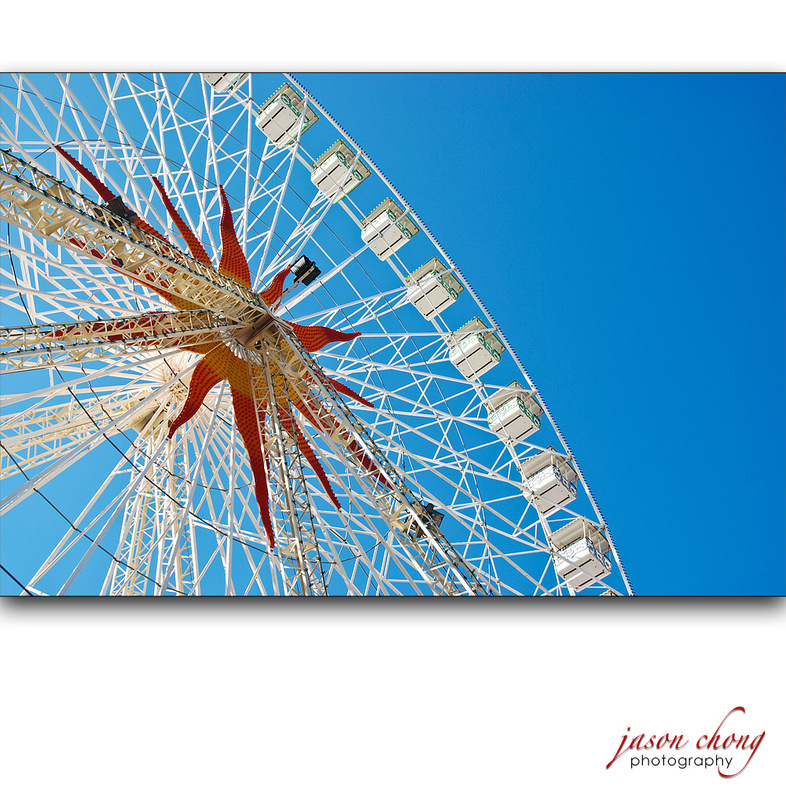 In Nice, we came across a beautiful ferris wheel, or Grande Roue in French. As we attempted to go up all tall things on our trip, we hopped on to see the view from the top. However, from living in over-safety conscious Australia, I was worried about the lack of safety harnesses, railings and the flimsy door to the car once we got in – especially since it went quite high! 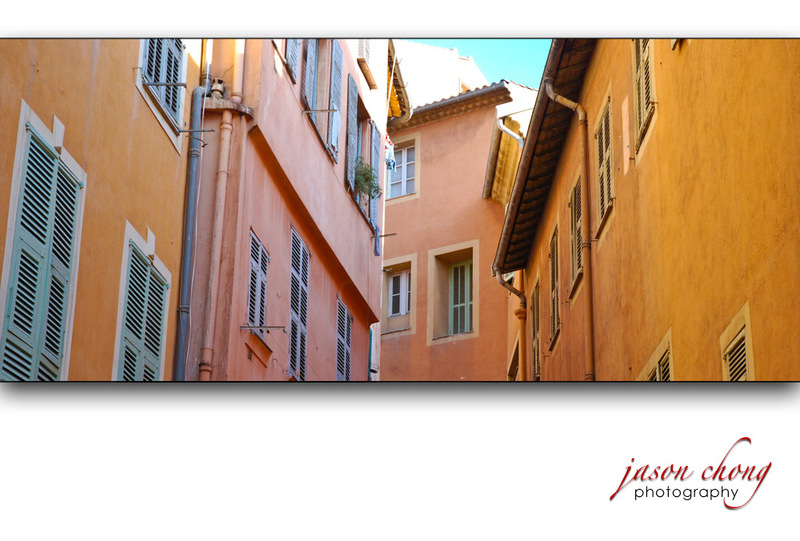 I loved wandering around the streets of the old town in Nice, France. The colours of the buildings are so vibrant compared to the dull gray of our high-rises in Perth and other modern big cities. This image reminds me of the narrow streets, the colours and how close the buildings were to each other. 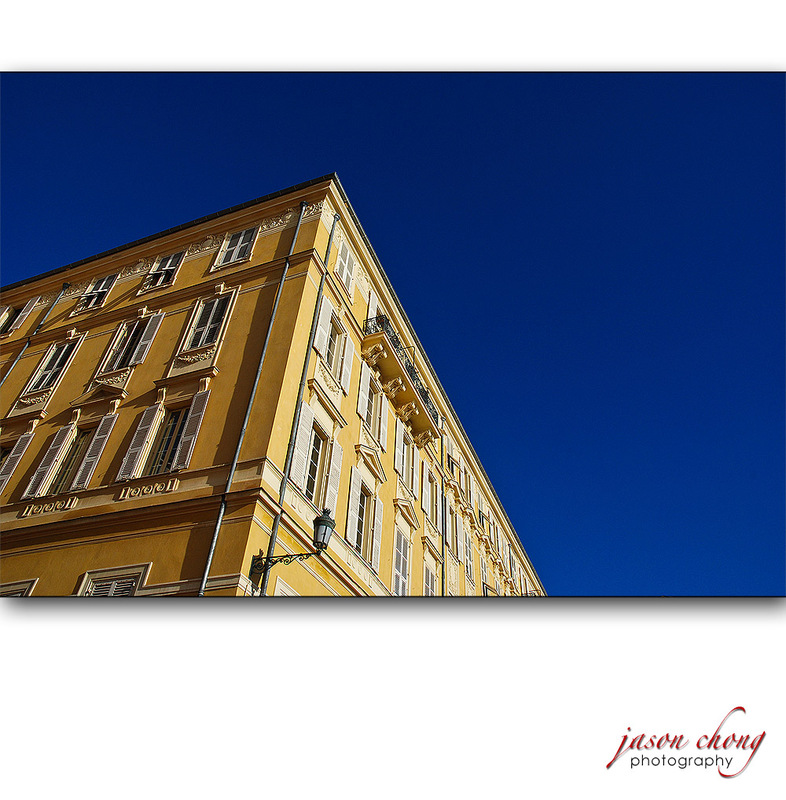 Here’s a view of an old building up into the clear blue sky in Nice, France. It was a clear day, but it was cold! Looking back, when travelling with a wife and 2 daughters, there are just sacrifices that have to be made. Take Akihabara for example. We are up to Day 13 of our holiday. Here I am, a computer geek, in Tokyo, in Akihabara – the “Electric City” – basically blocks of multi-storey shopping centres filled with computer, electronic and hi-fi shops. It’s finally my turn – this is the place “I” want to go to. Total paradise right? Not when you have 3 females dragging along with you. We get out at the train station, I’m just overwhelmed. They look at me with the “OK, where do YOU want to go now?”. But then the girls find some trinket shop where they get stuck. Great! I’ll quickly run down one of these side alleys, but without mobile phones to contact each other, I can’t get far. I remember my friend in Perth saying he found a shop that sold really cheap new and second hand computer audio equipment. I’m excited about trying to find it. But just looking at the number of little electronic shops, I wouldn’t know where to start. There’s ones that sell just home made speaker kits, ones that sell wires and connectors only, ones that sell GPS’s only *sigh*. The kids start complaining that they’re hungry. We spot a McDonald’s, so I convince wifey to go with Miss 9 and Miss 10 (now Miss 11) to buy some chips while I sneak in 5 minutes of browsing the latest laptops and mobile phones at another shop. We eventually make our way to the train station and disappear off to Ginza. I make a mental note to come back here without wifey or kids in the future. Luckily at Ginza, I convinced wifey to split so I can visit the Sony showroom by myself. But by the time we figure out which exit to take out of the Ginza train station, I have about 20 minutes to browse the many floors and exhibits it has before it shut. I try out some the 3D TV sets, which we now have demos of in Perth anyway. Just wait till you hear how much time we spent in toy shops! Here’s a secret for travellers to/from Singapore – there is a large food court with really cheap food in the B1 Basement of the Airport. It’s the “staff canteen”, but it’s actually open to the public too. It’s a bit hard to find (before you go through the departure gates, try to find a lift in the far corner that goes down to B1 in Terminal 1). You can’t take luggage trolleys down there but rolling hand luggage is fine. The good news – the prices of the dishes are really cheap, the range is massive compared to the food stalls/restaurants in the main part of the airport and it serves all the local foods! Like any holiday to Singapore, eating is a highlight. So what better way to end our recent trip than to go down to the food court and have our “last supper”!! We stuffed ourselves with as many local delights as possible before boarding our cheap Jetstar flight. Good local prawn mee, local chicken rice, burbur chacha, chendol, rojak, coconut juice and many desserts with names I could not pronounce… until next time. Lack of bins in Singapore? One thing that you may notice on a trip to Singapore is that it’s fairly clean. On our recent trip, I was glad to not see any graffiti on walls, buses or trains and I didn’t notice much rubbish lying around on the streets. Heavy fines and punishments are good deterrants. But the irony is that there were a few times when I had some food wrappings that I wanted to get rid of before going on the MRT (underground train).. and each time, I just couldn’t find a bin! * But they won’t provide bins for you to dispose of your litter/unwanted food/etc!